Nothing tells your senses it’s Christmas like the spicy smell of gingerbread. And even if you’re pressed for time this season, you can make delicious creations using a box of the versatile wonder that is gingerbread mix. We used gingerbread mix to make four holiday treats that range from simple to show stopping—and none of them took more than an hour from start to finish. Gingerbread is one of those flavors that tell all your senses the holidays are here. And in about an hour, you can make these irresistible gingerbread poppers that combine the spice of gingerbread with the sweetness of white chocolate in one perfect bite. Serve them along the appetizers at your holiday open house and watch them disappear. If you have a large glass serving bowl, you can turn regular gingerbread into a show-stopping dessert for the holidays quicker than you can say “Jingle Bells.” Just layer the ingredients to create a picture-perfect sweet that also looks amazing on the table. Chocolate and gingerbread are an unexpected but perfect pair. Topped with a pillowy marshmallow frosting, they’re like the beautiful child of s’more and a gingerbread man. 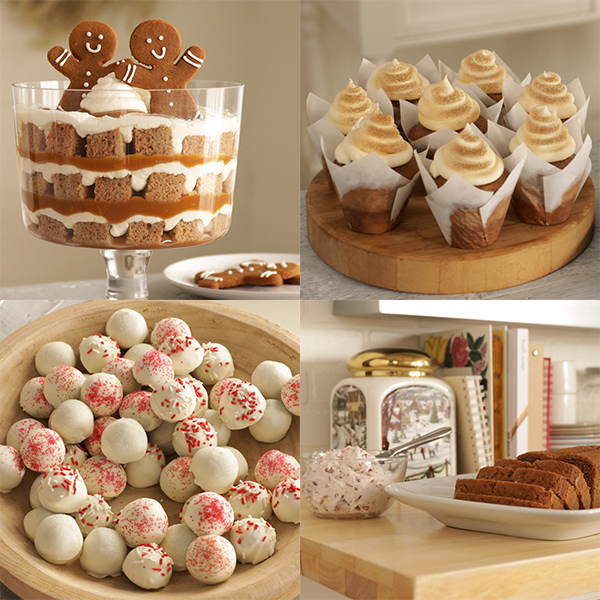 Know what’s delicious with Gingerbread? Beer! If you are not content using box mix, take your holiday baking to the next level and make a classic gingerbread house using this step by step recipe and tutorial.